For Russia to achieve these long-term objectives, its supremacy in the Black Sea is a critically enabling factor. The unique geography of the region confers several geopolitical advantages to Russia in its confrontation with the West. As such, the Kremlin has sought measures to strengthen its hold over the region. Firstly, it has sought to weaken NATO’s ties to the regional states, working to drive wedges into these relationships, and using military force when necessary to stop the Alliance’s expansion. Secondly, it has been expanding its military capabilities in order to challenge NATO’s presence in the region and ultimately dominate the Black Sea. Russia’s policy toward Ukraine has been similarly aggressive. In 2006 and 2009, Russia used its energy exports as an instrument of intimidation and influence, temporarily ceasing the supply of natural gas to Europe through Ukraine and increasing its energy prices.15 Bilateral relations improved when the pro-Russian leader Viktor Yanukovych became Ukraine’s president in 2010. This however, would not last. In February 2014, facing mass demonstrations calling for his removal, Viktor Yanukovych fled the country. The new government was vehemently anti-Russian and had clear preference for Western institutions like NATO and the EU.16 While this was disturbing news by itself, what really concerned Moscow was the status of its naval base at Sevastopol in Crimea. Officially owned by the Ukraine, the base was on lease to the Russians and home to its Black Sea Fleet. 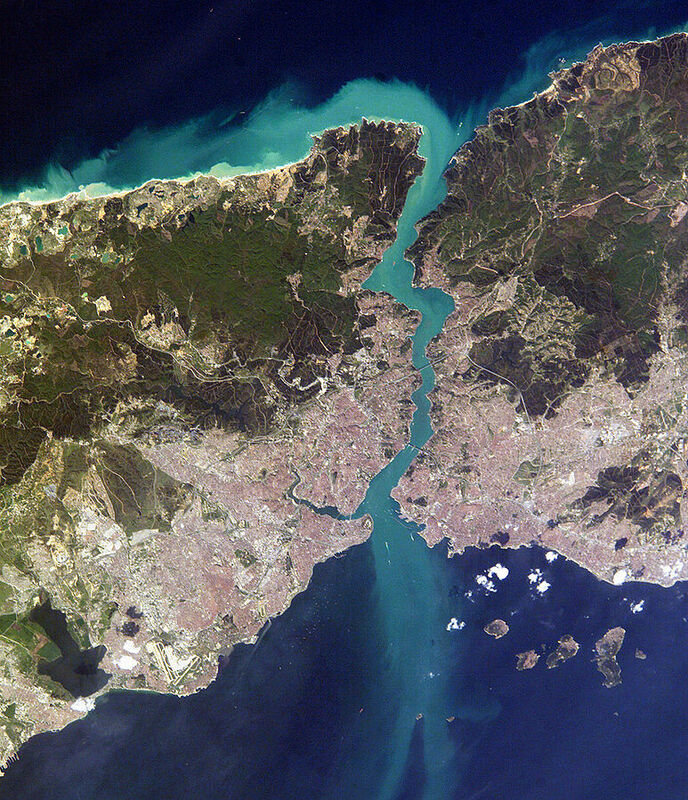 Sevastopol was of great strategic importance, being Russia’s only warm water naval base and an important hub to project its naval power abroad.17 Hence, in order to ensure unrestricted access to Sevastopol, Russia moved in its forces and annexed Crimea in March 2014.18 Concurrently, it supplied arms and support to pro-Russian separatists in eastern Ukraine allowing them to escalate their war against the new government in Kiev.19 In pushing the country toward civil war, Russia had sufficiently destabilized Ukraine and prevented it from becoming a Western stronghold on its own doorstep. The second effort undertaken by Russia has been to build up its military capabilities in the Black Sea. To that end, the Kremlin has embarked on a long-term rearmament program designed to establish an anti-access/area-denial (A2/AD) zone or ‘bubble’ over the region.27 The concept focuses on deploying capabilities that firstly, prevent forces from entering an area i.e. anti-access; and secondly, limits an opponent’s freedom of action and maneuver within the operational area, i.e. area-denial.28 Within an operational A2/AD bubble, long-range assets could be deployed to strike ground targets, interdict maritime traffic, and impose no-fly zones.29 During a conflict, such a strategy greatly increases the risk of causalities for any hostile force entering the A2/AD bubble. NATO decision-making could be undermined by the raised costs of reinforcing allies in the region, hampering their ability to exert collective defense and weakening the credibility of their deterrence.30 Moreover, NATO’s inaction would greatly enhance Russia’s prestige, demonstrating its ability to challenge the West. Within the Black Sea, Crimea will be the main platform for conducting A2/AD operations. Advanced defense systems have been deployed to the peninsula, such as the anti-ship Bastion-P missile system equipped with the P-800 Oniks cruise missiles, along with the anti-aircraft S-300v4 and S-400 Triumf missile systems.31 Upgrade program are underway to refurbish Soviet-era bunkers, reanimate early warning radar systems, and install high-tech electronic warfare equipment.32 Along with Russia’s other missile systems in Armenia, Krasnodar, and Latakia, its A2/AD capabilities extend over major parts of the region – covering much of the Black Sea, and parts of Georgia, Turkey, and Ukraine. Russia’s A2/AD capabilities will also be strengthened by the deployment of the Tupolev Tu-22M3 to the region. The long-range bomber can carry Kh-15 or Kh-22 missiles designed to destroy air defense systems.35 The bomber force will be protected by Russian fighters like the Sukhoi Su-24 which can secured a vast majority of the Black Sea airspace and greatly expand Russia’s strategic aviation patrol routes in the region.36 In deploying these different capabilities together, Russia would be able to form a multi-layered, interconnecting defense network that can threaten or interdict any force within the A2/AD bubble. Despite the aggressive measures taken by Russia, its dominance over the Black Sea continues to face enduring challenges. Turkey for instance, controls Russia’s access between the Black Sea and the Mediterranean, but its full cooperation cannot always be taken as a guarantee. Fundamental disagreements exist over the conflict in Syria, with Russia supporting the Assad regime and Turkey opposing it.37 The rise in tensions after the downing of a Russian fighter jet by the Turkish Air Force in November 2015 similarly demonstrates the precariousness of their relationship.38 In the event of a crisis, Moscow’s priority must be to ensure that Turkey at the very least remains neutral, allowing Russia to continue resupplying its forces in the Mediterranean. Should the passage be closed by an openly hostile Turkey, Russia would find its forces in the Mediterranean in great danger. With the second most powerful military force in the region, Turkey possesses the offensive capabilities to threaten Russia’s isolated forces.39 A defeat would deal a major blow to Russia’s prestige and status as a military power. Moscow therefore, must continue to engage Ankara, strengthening bilateral ties while seeking ways to find some compromise over their differences. Romania presents another troublesome neighbor for Russia. Although its military capabilities are no match for the larger power, its eagerness to encourage NATO presence in the Black Sea is in direct contradiction to Moscow’s long-term objectives. Both states share a number of unresolved disputes, such as over the theft of Romanian treasures during WWII and over Russia’s refusal to denounce the Molotov-Ribbentrop Pact.40 This may have in part, contributed to the Romanian leadership’s pursuit of Alliance membership and general distrust of Russian intentions. To neutralize Romania, Russia may promote pan-nationalist ideas such as the ‘Greater Romania’ concept. This would encourage regional disputes between Romania and its neighbors Ukraine and Moldova. Russia could also fan the flames by orchestrating demonstrations, infiltrating saboteurs, and supporting separatist activities.41 Russia could also hinder Romania’s exploration of natural resources in the Black Sea either through harassment or through legal means by claiming the territorial waters around recently annexed Crimea.42 These measures could intimidate Romania into aligning itself closer with Russia or at least distract it from seeking closer ties with NATO. 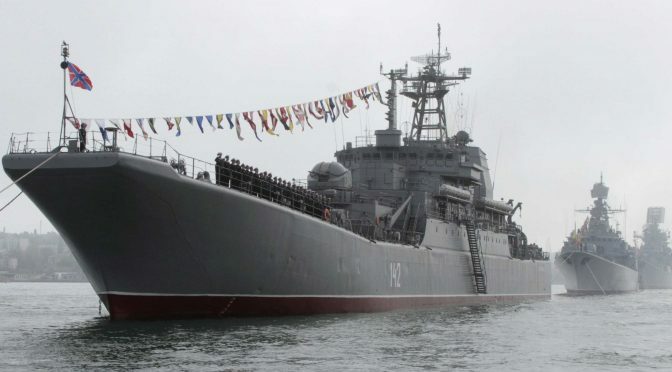 Russia’s pursuit of an A2/AD bubble in the Black Sea is also fraught with challenges. The massive rearmament programs come with a substantial price tag. Russia’s state revenues, however, have been severely depleted by the collapse of global oil prices and ongoing economic sanctions.43 In addition, Russia’s shipbuilding industry now faces a shortage of ship engines after Ukraine stopped sales over the annexation of Crimea.44 These issues throw into question how much of Russia’s modernization plans will actually be realized. The A2/AD strategy had been seen as a cost-effective measure to counter NATO’s overwhelming sea power. If Russia fails to achieve the full potential of its plans, it may seriously undermine the effectiveness and deterrence value of the A2/AD bubble. As this paper has described, Russia has pursued highly aggressive policies in order to secure its dominance over the Black Sea region. What Moscow must bear in mind however, is that control over the region is not an end in itself, but the means to achieve a greater objective – to keep out NATO interference. In this regard, Russia’s measures have somewhat backfired. Concerned over Russia’s rising belligerence, NATO at the recent Warsaw Summit pledged to increase Allied military presence in the region. Besides strengthening Allied capabilities in the air, land, and sea, there will be increased allied visits to Romanian and Bulgarian ports, and enhanced inter-Alliance training and exercises.45 While it can be argued that these are merely symbolic measures, they could signal the beginning of a gradual NATO build-up around the Black Sea. Perhaps Russia’s greatest challenge now is to find a way dominate the region without causing anxiety amongst the littoral states, as that in turn, may trigger an increased NATO presence. After all, it would be a supreme irony if Russia’s efforts to shut out NATO instead became the contributing factor for a growing Allied presence. Byron Chong has a Masters in Strategic Studies from the S. Rajaratnam School of International Studies. A passion for history and international politics drew him to this field after his first degree in engineering. His research interests include security issues in Europe and the Asia Pacific. Altman, J. “Russian A2/AD in the Eastern Mediterranean,” Naval War College Review 69, No. 1 (2016): pp. 72-84. Carey, H.F., Romania Since 1989: Politics, Economics, and Society. Maryland: Lexington Books, 2004. 3. 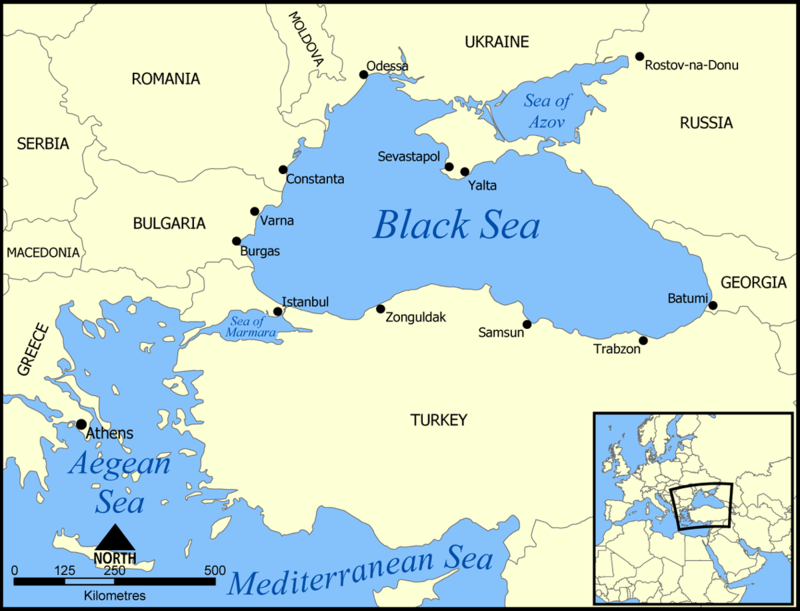 Janusz Bugajski and Peter B. Doran, “Black Sea Rising: Russia’s Strategy in Southeast Europe,” Centre for European Analysis – Black Sea Strategic Report No.1 (2016): 2. 7. Bugajski and Doran, “Black Sea Rising,” 3. 11. Bugajski and Doran, “Black Sea Rising,” 5. 14. Bugajski and Doran, “Black Sea Rising,” 5. 22. Jonathan Altman, “Russian A2/AD in the Eastern Mediterranean,” Naval War College Review 69, no. 1 (2016): 74. 27. Bugajski and Doran, “Black Sea Rising,” 10. 29. Bugajski and Doran, “Black Sea Rising,” 11. 33. Bugajski and Doran, “Black Sea Rising,” 12. 36. Bugajski and Doran, “Black Sea Rising,” 12. 37. Altman, “Russian A2/AD in the Eastern Mediterranean,” 79. 39. Altman, “Russian A2/AD in the Eastern Mediterranean,” 76. 40. Henry F. Carey, Romania Since 1989: Politics, Economics, and Society, (Maryland: Lexington Books, 2004), 21. 41. Bugajski and Doran, “Black Sea Rising,” 9.